There is no need to call attention to the changes of the times. It is only too obvious. Change itself is neither good nor bad. It is inevitable. We ourselves change from day to day. But I feel that the acceleration of change that is occurring today is bringing frustration and tension to the populace. It is not surprising that I find that I am not using all the great features of my at least three-year-old Kindle to the best advantage. But look at all the advances in the last three years just to the kindle, along with the multitude of other electronic devices. How does one keep up? Are all you younger people keeping up? With these quickly changing times, how can I keep from joining the chorus of elders who love to start their statements like, “When I was a child.” So, let me begin… When I was a little girl, I had a brother who was 3 ½ years older than I, my only sibling. Let me tell you about him. He was my idol. He was so smart and taught me everything. For example, I was very small when he told me that if you remove a hair from the tail of a horse, carefully put it into the horse’s watering tank, and leave it overnight, it would turn into a snake by morning. I was just a bit skeptical, but the next morning when there just happened to be a gentle breeze, my brother pointed out how that snake was wiggling and that settled it for me. My brother’s logic was impeccable. It showed up when it came to closing the yard gate after we carried in the wood for the kitchen stove the following day. His logic went like this: I must be the one to shut the gate since I was the last one into the yard. If he had shut it I would not have been able to get in. Very true. The next day, I made certain to not be the last one through the gate. I was wrong again. His logic: I had opened the gate and the gate would not be open if I had not opened it; ergo, I must be the one to shut it. It seemed to make good sense to me! Let me add that since my brother started to school much sooner than I, he would play “school” with me. Hence, before I was five years of age, he taught me to read and know my numbers and how they could be added together. This enabled me to start in the nearby country school when I was only five years old and–going at my own pace–end eighth grade at the age of twelve. I owe so much to my brother, a bomber pilot in WWII, a commercial pilot who later died prematurely of a brain aneurism. But that isn’t the story I want to tell here. Once, my brother and I felt we badly needed a coaster wagon. 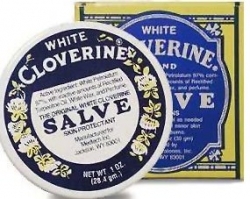 There were great hills nearby for coasting, so we contracted to sell Cloverine Salve. This was and is a very good salve. The company gave us this deal: After we sold a particular number of tins of salve, our parents could purchase this wonderful wagon at a reduced price that perhaps they could afford. Not only was the salve only $1 per can, but we also offered a gorgeous 9 x 11 picture suitable for framing, depicting a beautiful scene of nature, a wonderful likeness of a famous actress, a Persian cat or even a St. Bernard dog saving a life, absolutely free with every purchase. We managed, with wonderful relatives and neighbors, to sell our quota and had many bumpy exciting rides down our nearby hills. My memory of this was brought to mind when I received a catalog yesterday with a few “Trusted Remedies” included. There it was. The picture of our Cloverine Salve in the same attractive tin. But, as I have said, all things change. In this case it is the price1 How lucky my neighbors were to have purchased Cloverine back in my early days when we made it available to them for one dollar. The retail price in yesterday’s catalog was $7.99. I am thankful that not everything changes. The love of family, friends, and neighbors is still there today. 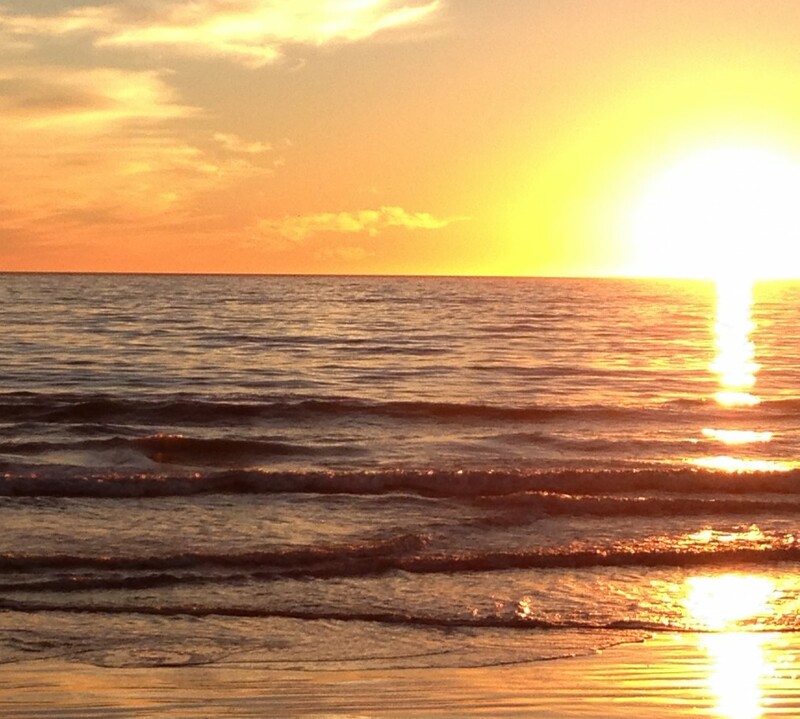 Sometimes we forget to appreciate its presence; we should talk about it even more than we do. We should hold fast to some things–family relationships, values and the like–as we accept the changes that we cannot change and work diligently at stopping the changes that threaten us and the world we know.